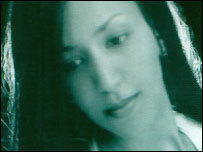 Helen Berhane was jailed for over two years without being charged. She was beaten by prison guards to persuade her to recant her faith. An Eritrean Christian gospel singer, detained by the authorities without charge for more than two years, has been freed, Amnesty International says. Helen Berhane was among about 2,000 members of illegal Evangelical church groups in Eritrea, who Amnesty says have been arrested in recent years. She was reportedly imprisoned inside a metal shipping container and beaten in an effort to make her recant her faith. But Eritrean Foreign Minister Ali Abdu denies all knowledge of her case.